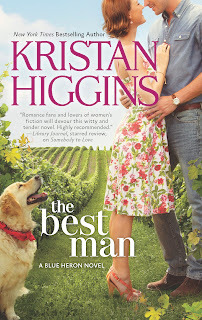 Acting Balanced: The Best Man: Excerpt and Author Interview! The Best Man: Excerpt and Author Interview! 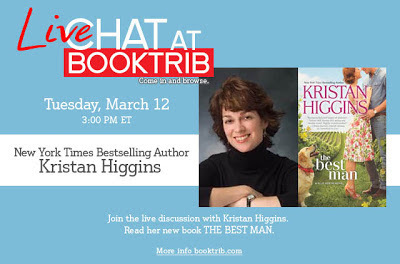 I am pleased to be part of the tour for The Best Man by Kristan Higgins! Come back tomorrow to see what I think of the book, but for now I want to introduce you to the book, share an excerpt and a little insight into the woman behind the book! “Faith Holland put down her binoculars, picked up her clipboard and checked off a box on her list. Lives alone. Clint had said he did, and the background check showed only his name on the rental agreement, but a person couldn’t be too careful. She took a pull of Red Bull and tapped her fingers against the steering wheel of her roommate’s car. Gay wasn’t the only problem. Brandon, whom she’d met at a party, had seemed so promising, right until their second date, when his phone rang. ‘Gotta take this, it’s my dealer,’ he’d said blithely. When Faith had asked for clarification—he couldn’t mean drug dealer could he?—he’d replied sure, what did she think he meant? He’d seemed confused when Faith left in a huff. 1) What book is on your nightstand right now? 2) What’s the last book that kept you up all night to finish reading? The Life of Pi by Yann Martel. What a remarkable and beautifully written book! 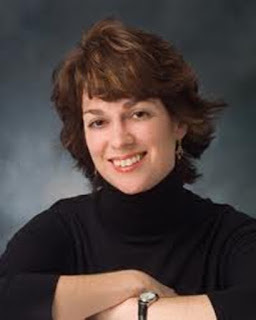 3) When did you first consider yourself a writer? You know, it took a while! I think a lot of us writers have the imposter syndrome…you know, where you’re convinced that anything decent you’ve produced thus far is just a fluke. My fourth book, TOO GOOD TO BE TRUE, was difficult to write, and that was the first time I had to struggle. When it was finally done, and when I still wanted to write another, I thought I might be a real writer after all. 4) Where’s your favorite place to read? There’s this big squishy green chair in our living room. Our cute little mutt jumps up and wedges herself in with me, and it’s heaven. 5) What books have influenced your life the most? To Kill A Mockingbird by Harper Lee; Gone With the Wind by Margaret Mitchell; Abide With Me by Elizabeth Strout. Though there are dozens of books that have influenced me, these are the books I read again and again.